Xavier Gonzalez, Chief Executive Officer (CEO) of the International Paralympic Committee (IPC) provided a short overview of the 2016 IPC Academy Campus at the SportAccord Convention on Tuesday 19 April, highlighting the role and impact of an effective educational programme on the future of successful major sports events. The 2016 IPC Academy Campus will take place in Rio de Janeiro between 6-17 September 2016, giving stakeholders of major sports events the chance to learn from their peers during the Paralympic Games. Delivered by the IPC Academy - the IPC’s educational division created in 2009 as a partnership between the IPC and the World Academy of Sport (WAoS) – the 2016 IPC Academy Campus is a unique event-based learning initiative that will include a Games Experience Programme, Observers’ Programme and Inclusion Summit. Speaking about the benefits of attending the IPC Academy Campus, the largest event learning Programme organised within the major sport events world, Gonzalez said: “The 2016 IPC Academy Campus gives all stakeholders a unique and better understanding into the complexities of organising and maximising the benefits from a major sporting event. The Campus coincides with the Rio 2016 Paralympic Games and is broken down into three main programmes: a Games Experience Programme, an Observers’ Programme, and an Inclusion Summit. The IPC Academy Games Experience Programme (GEP), between 12-14 September, is an initiative of the IPC Academy aimed at governments and those involved in the supply chain of the Paralympic Games to understand the complex delivery of such an event. Specifically, it aims to deliver a multi stakeholder perspective of Games management by providing unprecedented insights and privileged access to understand and observe specific core operating functions. Standing alongside, but distinct from the IPC Observers’ Programme, the GEP allows governments and other stakeholders to immerse themselves in a tailored learning programme. It includes themes around the key cost and resource drivers of staging a Games: safety and security, infrastructure, technology, human resources and legacy. Taking place between 6-17 September, the IPC Observers’ Programme targets learning at the operational level and is designed primarily for event organisers. The Programme includes a series of educational sessions, visits to all competition venues and the most important non-competition venues and specialised activities for organisation experts. There are also opportunities for observers to meet in person with Rio 2016 Managers and IPC experts providing a platform to have in-depth discussions regarding their Functional Area operations. Thematic or client oriented combined activities - Roundtable sessions combined with a venue visit focused on the specific theme. Thematic roundtables - Roundtable sessions focused on specific themes, not combined with venue visits. Venue concept and operations visits - Venue visits focusing on operations, targeting to an overall understanding of a venue as a whole. The IPC Academy Inclusion Summit on 15-16 September targets learning in the policy level. The Paralympic Games is the world’s number one sport event for driving social inclusion. It provides the perfect platform for the world to reflect and appreciate the diverse nature of the people around us. The Summit is the ultimate forum to bring together business leaders, governments and the Paralympic Movement to discuss inclusion and accessibility, how these impacts on society, and what the Paralympic Games represent as a catalyst for societal change. All three Programmes conclude on the evening of 16 September with the IPC Academy Campus Cocktail Reception which will offer networking opportunities for all Campus participants. Approximately 500-600 people will come together to celebrate the success of the IPC Academy Campus. The reception acts as the Campus’ graduation ceremony and is set to be the world’s biggest ever gathering of major sport event organisers and their stakeholders. 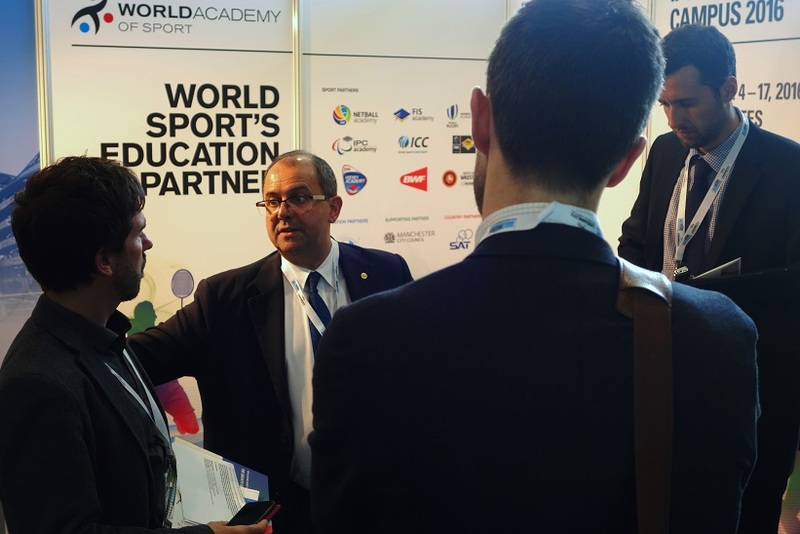 For further information about any programme in the IPC Academy Campus, please visit www.ipcacademycampus.com or contact Claire Bennett, Project Coordinator, World Academy of Sport cbennett@worldacademysport.com.